our clinic staff will contact you to schedule your first appointment. If you don’t have a psychiatrist currently, below is a list of psychiatrists we work with regularly in the Portland area. Any dose of benzodiazepine medication is detrimental to ketamine therapy. This will make ketamine treatment ineffective. You must be completely off of any benzodiazepine for a period of 10 days before starting ketamine. We will provide a urine drug screen to insure all metabolites are out of your bloodstream. Initial series of 6 infusions will take place every other day for a period of 12-14 days. 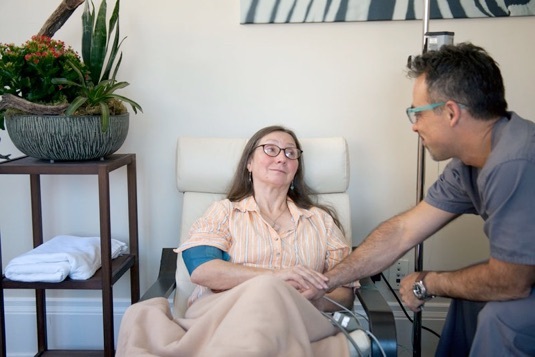 Although we don’t recommend varying too much from this treatment protocol we will customize the treatments to help meet your personal and travel needs. Subsequent single booster infusions may be required to keep your symptoms at bay. Resolution of symptoms may last anywhere from 4 to 6 weeks. "You’re doing good, important, healing work, and I am so grateful that our family found someone else willing to fight for my brother with us. "I recently completed the six infusion treatment from Dr. Abreu at the Seattle Ketamine Clinic. I am astounded by the results; I can say without hesitation that it has completely eradicated any depression symptoms. I didn’t expect this much relief from the Ketamine."